TramsCloud Manage enables you to bring the legendary Apple experience to your school giving you full access to all the latest education features available for iPad and Mac including Shared iPad and the new Classroom app. TramsCloud Manage is a hosted, managed and enhanced Jamf Pro (formerly Casper Suite) designed to empower schools to be self-sufficient and to raise the bar of what is possible with technology in education. The great thing about TramsCloud Manage is how easily it scales; start with just a handful of devices and easily grow into the thousands as your requirements change. With TramsCloud Manage you can reconfigure Home screen layouts, whitelist, blacklist and deploy apps, schedule overnight software updates, track down lost devices, configure and manage Apple Classroom app and shared iPad for multiple users and so much more. TramsCloud Manage offers an extensive level of features without the hefty hardware and support costs of maintaining your own hardware environment. And, with TramsCloud Manage+, we offer smaller schools a fully managed solution so you don't need to do anything yourselves, Trams will manage everything for you. TramsCloud Manage scales easily to support 1,000s of devices in any location across the country, or even globally, with central cloud based management and local distribution points. With TramsCloud Manage as your education solution, you can efficiently and effectively address your endless inventory, security and varying department needs. Exclusively focused on Apple, TramsCloud Manage integrates with Apple School Manager and provides immediate support for new Apple education features, so you can take full advantage of Apple services and features the minute they become available. Keep student and teacher data, both in and out of school, safe with Apple's built-in security tools, managed by TramsCloud Manage. Enforce passcodes, enable security policies, restrict software and activate Lost Mode to lock and locate a missing device. Go beyond simple troubleshooting and keep your Macs and iPads up-to-date and secure – all while ensuring users have the resources, apps and services they need. No small feat, but with TramsCloud Manage it's more than possible it's a reality. Empower teachers and students with the apps and content they need, when they need them. Create a customised, preconfigured app catalog based on groups, grades or classes with Self Service and let the user download what and when they want to. Repeating setup and configuration for hundreds of devices at the beginning of the school year can be time-consuming. Count on TramsCloud Manage and Apple’s Device Enrolment Program (DEP) to automatically enroll and configure new devices. With TramsCloud Manage’s app management capabilities, simply designate who gets what software, on what device and when. Remotely distribute pre-configured apps to Mac and iPad from the App Store or third-party vendors. TramsCloud Manage+ gives you all the benefits of TramsCloud Manage with the additional benefit of we manage it for you including adding or removing apps, creation or editing of configurations and groups and removing or adding devices. An ideal solution for primaries and smaller schools that may not have a full-time IT professional. How robust is TramsCloud Manage? TramsCloud Manage is designed for 24/7, anywhere, anytime access with guaranteed 99.5% uptime. The live environment is hosted completely within Europe - either across 3 data centres in Ireland or 2 data centres in London with a further 2 in Germany for disaster recovery. 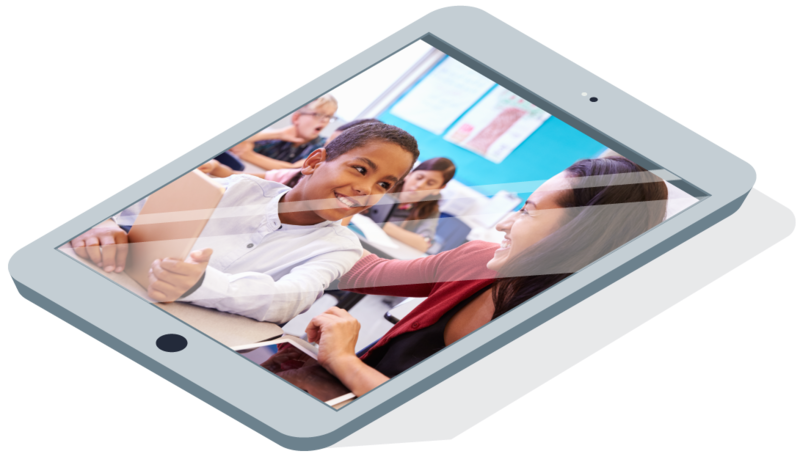 Shared iPad* enables schools to share devices between students, while still providing a personalised experience. With Shared iPad, students know which devices to use because their pictures are on the Lock screens and they can access their personal content using a password or four-digit PIN. Because a local copy of their work is stored on this device, after students log in, their work, apps, and projects are exactly as they left them. So teachers and technology managers won’t lose time backing up or wiping data between classes. *supported on iPad Pro, iPad Air 2, iPad mini 4 and newer iPads with 32GB of storage or higher. A simple, web-based portal that works with TramsCloud Manage to give you everything you need to deploy iPad and Mac in your school. Automatically create Managed Apple IDs for all students and staff, configure device enrolment settings, and easily buy & distribute apps, books and learning materials. And you can log in from a web browser on any Mac or PC. TramsCloud Manage integrates seamlessly with Apple School Manager enabling you to easily sync Classes, Teachers and Students. Give students access to iCloud, iTunes U and Shared iPad, whilst maintaining the control schools need. Apple School Manager lets you automatically create Managed Apple IDs for all students and staff by importing the necessary data from your Student Information System (SIS) or CSV files exported from your school’s directory service. And because Managed Apple IDs are owned and assigned by your school, you can easily reset passwords, audit accounts and define roles for everyone in the school. Classroom helps teachers launch a specific app, website, or textbook page on any iPad in the classroom. Teachers can even see which apps students are working in and view their screen. They can also send and receive documents with their class and share student work on a TV or projector using Apple TV. VPP allows schools to easily purchase apps in volume and distribute them within their school. When you purchase apps for iPad and Mac through VPP, your education volume discount is applied automatically. Schools can also buy Volume Purchase Programme Credit (VPP Credit) from Trams for use by teachers or administrators. DEP simplifies initial setup of your devices by automating mobile device management (MDM) enrollment. DEP automates supervision of devices during setup, and enabling you to configure the devices without touching them. To further simplify the process, you can skip certain Setup Assistant screens so users can start using their devices right out of the box. 020 7820 7111 or email sales@tramscloud.co.uk and find out why TramsCloud could be a real game changer for your business or school. © Copyright Trams Limited 2018.